The Temple of Artemis was one of the seven wonders of the ancient world. It was dedicated to the Greek goddess known as Artemis. This temple is believed to have been built at around 550 BC on a marshy strip near Ephesus, 50km from the modern port city of Izmir, Turkey. However, the foundation of the temple dates back to the 7th century. The foundation measured 377 feet by 40 feet and the whole temple was made of marble, save for the tile covered wooden roof. This temple had a width of 225 feet, a length of 425 feet and a total of 127 columns. This temple was so huge that it took 120 years to complete its construction. It was among the largest temples in ancient times. The temple was 60 feet high. It was rebuilt 3 times before its final destruction in 401. Artemis was the Greek goddess of the hunt. In Ephesus, Artemis was a fertility goddess and she was often pictured as draped with eggs or multiple breasts signifying fertility from her shoulders to the waist. Architects who designed the second Temple of Artemis were Chersiphron and his son Metagenes. This temple also had many art works including 4 bronze statutes of Amazon women, carved by the most skilled artists at the time Polycleitus, Kresilas, Phidias and Phradmon. Each of the columns supporting the huge roof consisted of about 12 cylindrical marble blocks that were raised into place with the help of pulleys and placed atop of each other to make a column. Inside the temple, there was a room that was specifically set aside to store the statue of Artemis. This temple was the pride of Ephesus until 356 B.C when a young Ephesian by the name of Herostratus burned the temple to the ground. This young man destroyed the temple in a bid to have his name go down in history. The Ephesians were so sickened by his act that they issued a declaration that anyone who would mention Herostratus would be put to death. A short time after this horrible act, a new temple was rebuilt that was designed by an architect known as Scopas of Paros. This architect was among the most famous sculptors at the time. The new temple was rebuilt in the same marshy area as the previous one. To prepare the ground for this new structure, layers of compressed charcoal were laid beneath with wool fleeces on top of them. According to Roman historian Pliny, the temple kept its original marshy location to protect it from the earthquakes that were very prevalent in that region. On the night that Herostratus destroyed the Temple of Artemis, Alexander the Great was born. By the time that he came to Ephesus, the temple’s construction was still ongoing. He offered to finance its completion in return for credit as the builder from the city. The city fathers did not want his name to be carved on the temple, so they tactfully declined his offer. The temple was later rebuilt after the death of Alexander the Great at the expense of the city fathers. The rebuilt temple lasted for many years, but was torched by the Goths and then flooded. 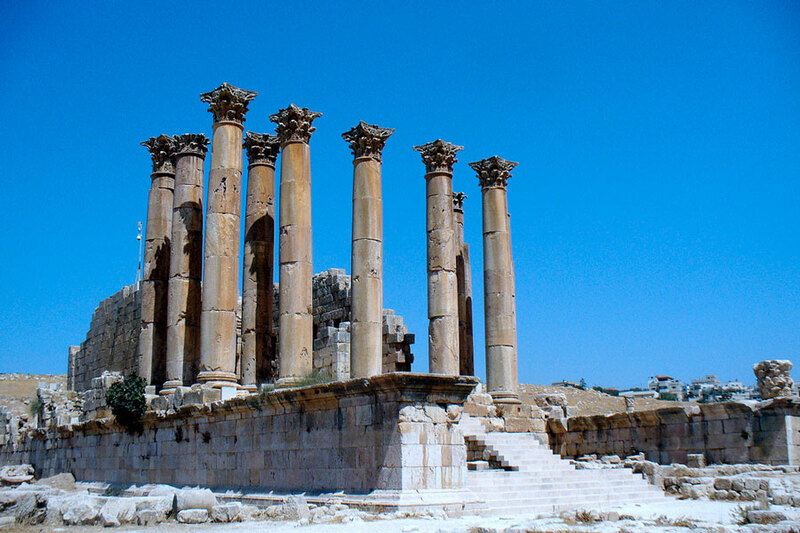 By 262 A.D, the Temple of Artemis was completely destroyed. Today the site of the temple is a marshy area on which a single column stands to remind visitors of one of the Seven Wonders of the Ancient world.